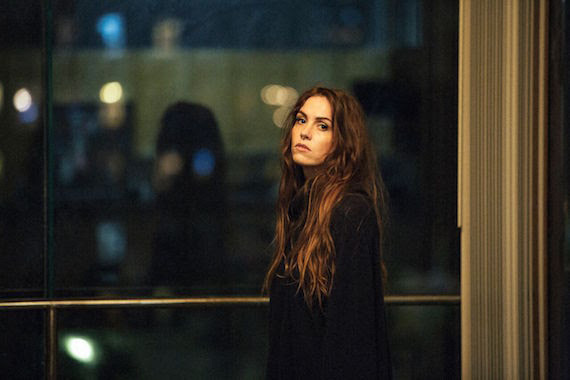 Singer/songwriter Emma Ruth Rundle has announced her sophomore solo album, Marked For Death, which will be released on September 30th on Sargent House. The album mines feelings of loss, defeat, heartache and self-destructiveness and emerges as Emma Ruth Rundle's most honest and compelling accomplishment to date. Marked For Death’s title track - which is streaming now on The FADER (or directly on soundcloud) - is a past-tense treatise on doomed love and blooms into a cascading murmuration of guitar and strings, its towering, epic presence characteristic of much of Rundle’s work. Marked for Death finds Emma Ruth Rundle emerging as a performer of naked intensity. She shapes vast, evocative landscapes of sound, combining them with lyrics of devastating candor. Self-determination and resiliency, disguised in this case as coming to terms with overwhelming defeat, are key aspects of her personality. Transforming pain into works of great beauty makes her the compelling artist she is. A more adventurous production than her solo debut Some Heavy Ocean (2014, Sargent House), the eight compositions on Marked for Death, helmed by engineer/co-producer Sonny DiPerri, emphasize dynamics and vocal melodies, variable tuning, and a dense layering and texturing of guitars. Nevertheless, fear and self-doubt linger in the shadows of Rundle’s mind, providing an incessant counterpoint to her ambitious talent and sultry, albeit de-emphasized, allure. Exemplified by the candid, unglamorous cover portrait, Marked For Death takes a persuasive argument for its creator’s utter helplessness in the shadow of defeat. And through a potent dose of dark, hypnotic rock every bit as satisfying as her work with Marriages and Red Sparowes, Marked for Death’s most resonant element is Emma Ruth Rundle herself, settling in to her role as singer/songwriter. Her rich voice, alternately jostled and cradled by the sounds conjured from her guitar, feels more present, perhaps even more deliberate, than ever before. More news coming soon. For now, see Emma Ruth Rundle on tour in Europe with Wovenhand in September and October and pre-order Marked For Death here.